The Highlands NC community gets to experience the chili cookoff in two weeks. A favorite event, taking the chill off winter as we prepare for spring’s arrival, the chili cook-off is fun for everyone, cooks and tasters alike. Mark your calendars for Saturday, March 15th, and come hungry. The annual Highlands Chili Cookoff will take place on Saturday, March 15th from 6:30 to 9:30 pm at the Highlands Community Building. Tickets are $20 and children 12 and under are free. This fun event offer chili, cornbread and music, so there will be plenty of eating and dancing with the entire Highlands community. This fun evening will feature awards for the Most Unique, Most Traditional, and Hottest Chili, as well as for the Best Salsa and the Best Cornbread. If you will be in town do not miss this fun event. Highlands NC is full of fun events throughout the year, offering opportunities to spend time with old friends as well as to meet new friends. 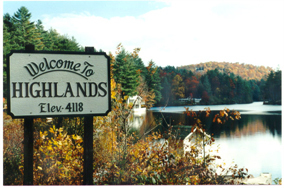 Contact me, Lynn Kimball, today to learn more about living in Highlands. I welcome the opportunity to help you get to know Highlands like a local. Let me be your guide to Highlands real estate.